For the first time three years, Heart’s Ann and Nancy Wilson are returning to the road with their “Love Alive” 2019 cross-country summer tour. The 39-city tour kicks off Tuesday, July 9, 2019 at the Hollywood Casino Amphitheatre in St. Louis, MO and will include two Canadian stops – one in Toronto on July 14 at Budweiser Stage and one in Montreal on July 16 at Centre Bell. The tour wraps up on September 9 at the Hollywood Bowl in Los Angeles, CA. 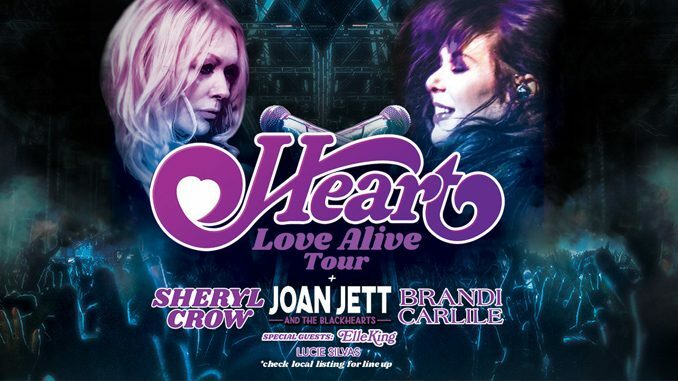 Heart will be joined by Joan Jett & The Blackhearts, Sheryl Crow and Brandi Carlile on the road with them in select cities. 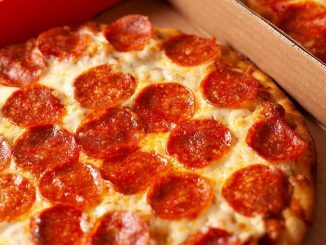 Also appearing are Elle King and Lucie Silvas. Both the Toronto and Montreal shows will be opened by Elle King and feature an appearance by Sheryl Crow.